To reflect on 2017 and use it as a tool to be a better person, teacher, mentor, family member and friend. 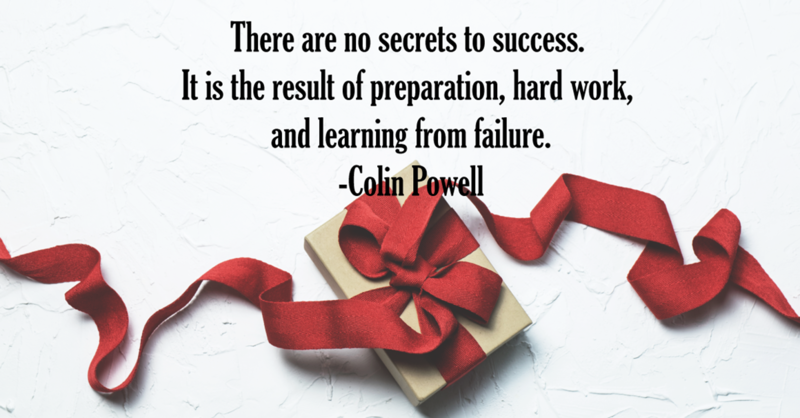 Getting ready for the holiday break? 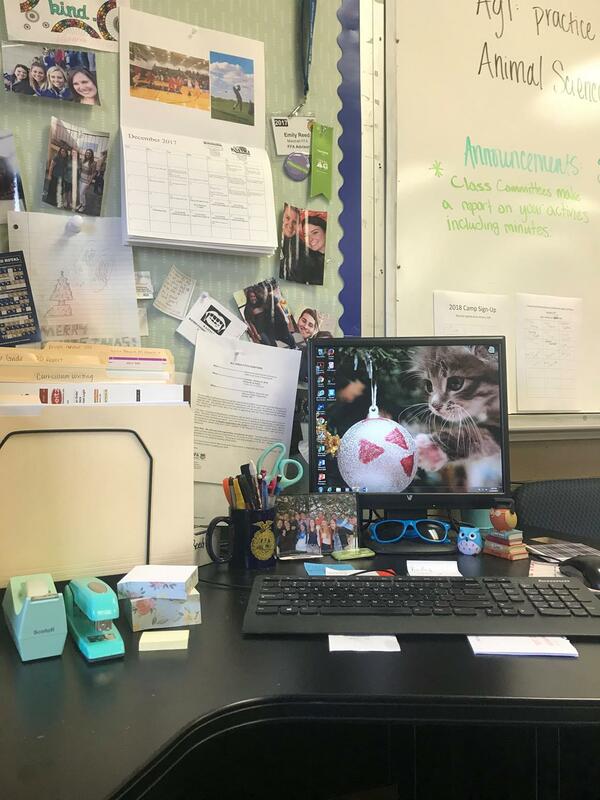 Emily Reed, agriculture teacher at Saline County Career Center, in Marshall, MO has taken a moment to prepare her desk for her return in 2018! 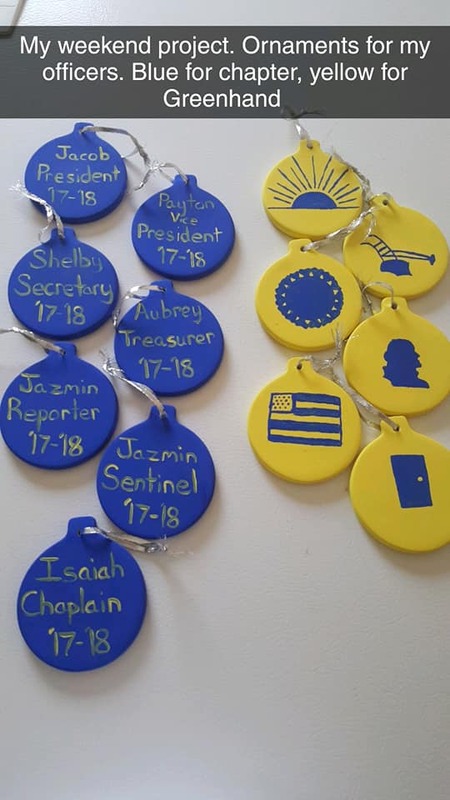 I asked a local business and it was going to run 15 per ornament and I wanted to do both chapter and Greenhand. $16 dollars and 4 hours later, this is what I came up with! The kids loved them along with the chocolates and cookies I baked them. -Karol Fury, agriculture teacher at Dexter Schools, New MexicoFrom the Facebook Ag Education Discussion Lab page. Healthy Habits -- What is YOUR New Year's Resolution?? 12 Months to a Better You! 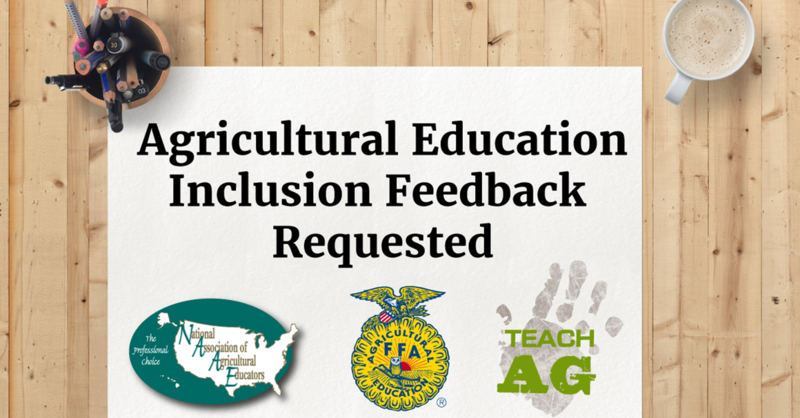 The National Association of Agricultural Educators, the National FFA Organization and the National Teach Ag Campaign are seeking input from agricultural educators, agricultural education state staff, teacher educators, and stakeholders who are willing to contribute to a meaningful and solutions-based conversation taking place regarding diversity and inclusion in agricultural education. 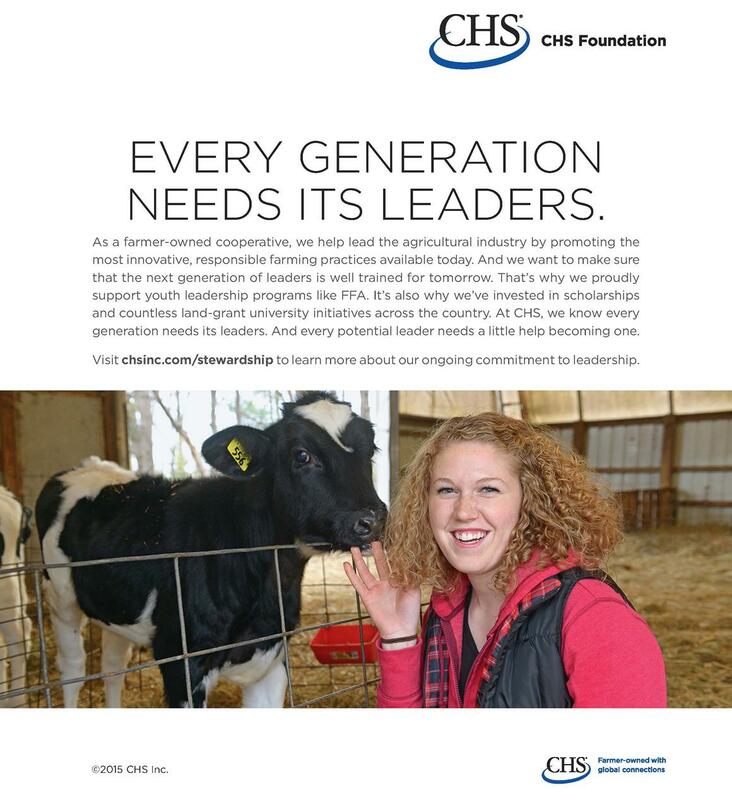 Information provided through the survey and from focus group sessions held during National FFA Convention will be used to develop meaningful and purposeful diversity and inclusion strategies aimed at achieving the goal of ensuring agriculture classrooms reflect the school and community in which they reside. Responses may also be used in the area of academic research.